We've been, we know - just ask! One of the most distinctive cities in the World, Havana is an exotic blend of history and culture, and a truly fascinating destination. Old Havana - La Habana Vieja - is World Heritage listed for its unique architecture, dating back to the Spanish Colonial era and beyond. This truly fascinating destination is worth spending a few days in, before things change too much. Wander down the narrow streets of Old Havana and discover traditional houses and music-filled bars. The Squares of the Old city act as colourful meeting points for the locals - visit Plaza Vieja to take in the beautifully restored buildings or Plaza de Armas for its restored palaces and a traditional meal. Visit a Cigar factory, walk along the seafront Malecon promenade or take a trip in a classic American car. 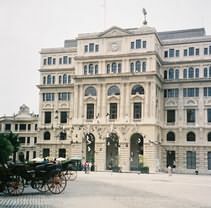 There's an excellent range of hotels in Havana, with the focus mainly on historic buildings in and around the Old City. Parque Central - the square that acts as the boundary between the Old and New areas - is home to a number of properties and makes a good base. Hotels in Old Havana itself tend to be smaller as many have been converted from original houses. Most can only be reached on foot as the streets don't generally take vehicles - but you'll be helped with your luggage! Old Havana hotels range from small 'hostales' offering simple - and often character-filled - accommodation, to converted merchant houses and established hotels, many of which have been lovingly restored to their former glory. Further out of the city centre, more modern hotels dominate, with high standards and modern facilities. 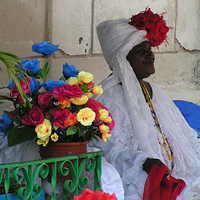 A few days in Havana will give you a good feel for its history and atmosphere. The largest city in the Caribbean has a distinctly Latin feel, and it's worth losing yourself in the streets of the Old City to get a feel for it. 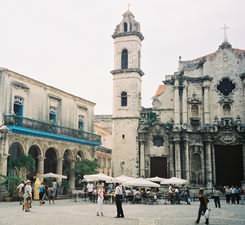 Havana combines easily with other parts of Cuba, combining Havana with Varadero, Guardalavaca or the Cayo's for a perfect Cuba twin centre holiday, or with the beautiful countryside of Western Cuba or the historic cities of Central Cuba for a really fascinating option. Most things are possible - just ask! There are a number of airlines that fly to Havana from around the UK. Most holidays featured here are based on a Saturday or Wednesday departure with Cubana from London Gatwick to Havana, allowing various duration holidays. Virgin Atlantic also fly twice a week from Gatwick. Also, Air France and Iberia fly to Havana from Paris and Madrid respectively, with connections from around the UK on most days, allowing just about any duration of holiday. Most multi-centre holidays featured are only possible on the Saturday or Wednesday Gatwick flight. Have a look at our selection of Havana hotels and our twin centre holidays combining Havana with the beaches of Cuba. If you see something of interest call one of our friendly reservations staff on 020 8989 0970, or fill in a quote and we'll check availability and get back to you. If you're not sure what's best for you, ask to speak to one of our staff who've visited recently! Follow us online . . .